I had new car buying discussions with three different Relaxing Retirement members this past week, so I thought it would be a good idea to share my thought process on this all important question with you. Before I begin, I want to be clear that I’m going to leave the debate of buying new vs. pre-owned for another Strategy Session. For today, let’s assume that you’re buying a new car. In my view, given the enormous cost of cars these days, it’s a very good idea to take the time to evaluate the most cost effective way for you to purchase your cars both now and in the future. With all the ‘financing’ options you now have available to you, you really have to do your homework. The first factor that I believe you have to think about is purely financial. Most of us have been conditioned over our lifetime to “own” everything. And, I believe that’s a worthy goal. However, if you stop and think about that, what you want to own is “appreciating” assets. So, for example, owning your home makes the most sense for the overwhelming majority of individuals. A car, on the other hand, is a “depreciating” asset. In fact, it depreciates rapidly, so you have to really question your desire to own it for “pride of ownership” reasons. The exception to this, of course, is the individual who “really” likes cars and spends a lot of time working on them and maintaining them as a hobby. 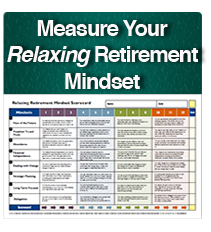 And, we have some Relaxing Retirement members who fall into this category. If you really stop and think about it, purchasing and owning a car is just another expense, much like many other expenses you have in your life. It’s really not a very good “asset” from an ownership standpoint. These are all “expenses”, and have to be considered in your overall analysis of “how” you’re going to pay for your new car. When you break it all down, it’s all a matter of “how much” you will pay and “when” you will pay it. I recognize that most individuals give no thought whatsoever to how they’re going to buy their cars. However, what I recommend is that you have your own personal “long term” car buying strategy. And, that strategy should govern your car purchases. Let’s start with mileage. If you know that you will be driving in excess of 12-15,000 miles per year, leasing gets pricey because they have to charge you up-front for excess mileage on the car. Given this, leasing rarely makes sense if you’ll drive in excess of 15,000 miles per year. Depending on the make and model car you wish to buy, two $35,000 cars can have monthly lease payments that are $150 per month different. Some cars have terrific residual values: Toyota (Lexus), Honda (Acura), to name a few. Others, unfortunately, do not. So, for example, leasing a Toyota or Lexus that costs $35,000 is typically cheaper than leasing a Chevrolet or a Ford that have the same sticker price. Now that we’ve laid this groundwork, next week we’re going to analyze the pros and cons of buying vs. leasing a new $35,000 car.